If you have shopped for expensive jewellery, you must have contemplated purchasing something with diamonds. Diamonds are synonymous with an everlasting love, commitment and glamour. A diamond engagement ring marks the beginning of married life. 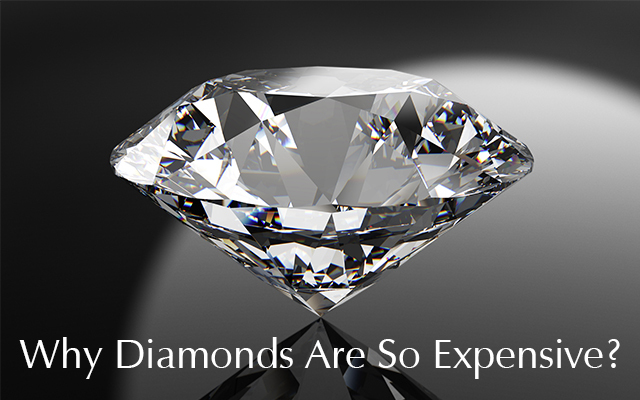 Diamonds are coveted for their rarity, beauty and prestige throughout history. From delicate jewellery, beautiful engagement rings to also, an industrial tool, the gemstone plays a significant role in our regular lives. But why are diamonds so expensive? Whether it is due to the market manipulation or its association with kings and queens, let’s today find out the answer of this burning question of why a diamond can command astronomical prices. De Beers is one of the leading diamond companies of the world. Founded in 1888, the company has pursued many diamond mining and explorations across the globe. During the Great Depression, diamond sales fell significantly. In the 1930s, diamonds were discerned as an extravagance for rich people to wallow in. De Beers’ motive was to captivate people from all walks of life to fall in love with diamonds. While the firm appointed the advertising agency N.W Ayer for reigniting public interest in diamonds, De Beers introduced their favourite motto in 1947, ‘A diamond is forever’. However, this ingenious marketing strategy met with huge success and persisted to this day. Diamonds are today the must-have gems for all brides-to-be. Besides, De Beers worked to incite public perception of diamonds and fortify a tradition of gifting diamond rings as a sign of marriage. The company implemented a program in the 1940s where the team members would pay a visit to high schools for teaching women and men about the romantic significance and value of diamond rings. De Beers’ intuitive marketing continued until the 1980s. They introduced many advertisements, stating ‘Isn’t two months’ salary a small price to pay for something that lasts forever?’ The advertisement consequently carries on the notion that diamonds are costly and also, that they are essential for any marriage. Diamonds were regarded to be very rare before the 1800s and were significantly found in Brazil and India. However, the massive discovery of a large crater with an aggregate of diamonds in Kimberley, South Africa made diamonds more accessible to the market. While this discovery could reduce the price of the diamonds, their influx on the market could also influence the rarity and therefore, reduce a diamond’s value. Thus, De Beers Diamond Company bought the diamond mines in Kimberley for preventing a decline in the gemstones’ prices. With ownership of these diamond mines, the company was able to preside over the global diamond supply rigidly. De Beers released sufficient diamonds onto the market for meeting the annual demands. However, while it created an appearance that diamonds were rarer than they indeed were, it enabled the company to increase the diamond prices. Today, about twenty major diamond mines are running that produce more than 120 million carats of diamonds per year. However, most of the mines are now not related to De Beers. Are you looking to sell diamonds? If you want to ‘sell diamonds’ or sell your jewellery quickly and potentially get paid in cash right away, simply walk into our shop at The Liberty Shopping Centre in Romford, Essex with your asset. 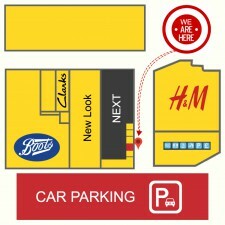 We will assess your item immediately and make you an offer on the spot. With trustworthy pawnbrokers Essex at Golden Cash, you are likely to obtain the best possible price when selling your diamond jewellery for cash. Thus, visit our shop today! Previous PostPrevious What is The Most Expensive Rolex Watch Ever Sold?